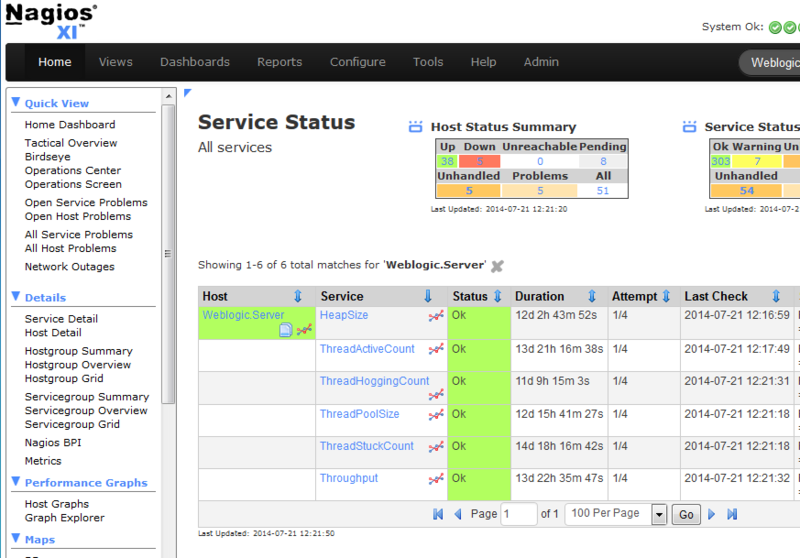 Monitor the End of the World (or any other event of your choosing) with Nagios XI! Nagios XI is extremely flexible, perhaps more flexible than most people realize! To showcase the flexibility of Nagios XI, President and Founder of Nagios – Ethan Galstad, has developed the plugin Doomsday Check to monitor an arbitrary doomsday date (of your choosing) with customizable warning and critical thresholds. Although this plugin may not be very practical in a networking environment, it’s fun to play around with and is definitely worth a try. If you would like to use this plugin, simply download it here to your plugins directory (/usr/local/nagios/libexec/), make it executable (`chmod +x check_doomsday.php`), and create a service for it. You can find more information on how to manage plugins in Nagios XI in this document. If you are an XI customer you may also watch this video. 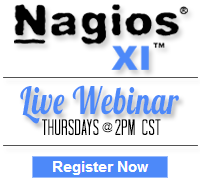 If you are new to Nagios XI, you can test drive it free for 60 Days by downloading the trial. 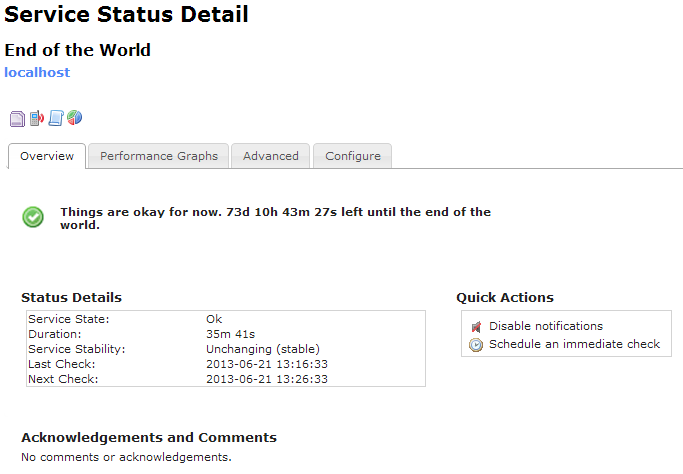 Also, the Nagios World Conference is fast approaching! Register here today! Category: Awesome, Cool Stuff, Events, Nagios XI and Plugins. Closed Tags: cool stuff, doomsday check, monitoring, nagios xi, plugins. 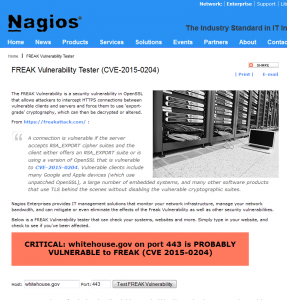 With yesterday’s disclosure of the new SSL/TLS vulnerability dubbed FREAK, we at Nagios decided to take some action to assist the community with a quick and easy tester to help determine if a server is vulnerable to (CVE-2015-0204). At Nagios, we take security vulnerabilities very seriously and when possible like to offer the ability to perform a quick check directly from our website. Nagios Enterprises provides IT management solutions that monitor your network infrastructure, manage your network bandwidth, and can mitigate or even eliminate the effects of the FREAK Vulnerability as well as other security vulnerabilities. For most servers that are found to be vulnerable administrators should be able to update the OpenSSL package and then restart the affected services such as httpd. If you are already using Nagios Core or XI to monitor your infrastructure, this easy-to-use plugin can notify you if your system is susceptible to the FREAK vulnerability. If you haven’t experienced the benefits of monitoring with Nagios, be sure to check out our products page. Category: Nagios Core, Nagios XI, Plugins and Site News. Closed Tags: CVE-2015-0204, FREAK, Monitor, nagios, openssl, security, SSL, tester, tls, vulnerability.